"World’s highest resolution” at 14.7 million pixels, claims Apple. 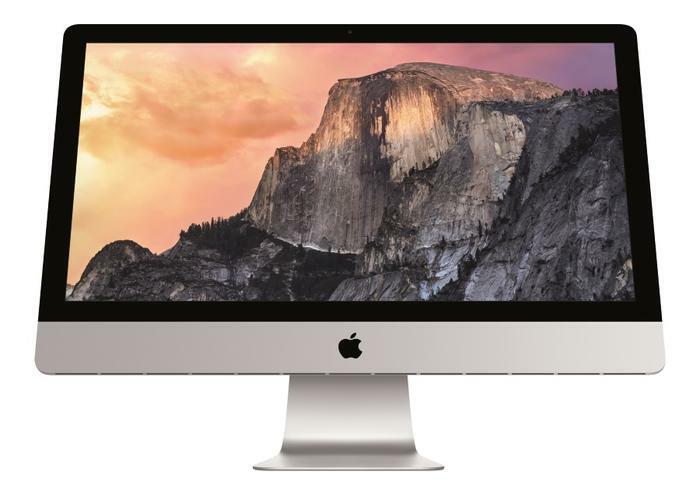 Apple’s famed 27in iMac will come with an improved “Retina” with a resolution of 5120 x 2880. Apple claims the 5K screen offers “the world’s highest resolution” on a computer with 14.7 million pixels. For comparison, a television supporting the nascent UHD standard has 8.3 million pixels. The display is "an incredible feat of engineering," said Phil Schiller, Apple senior vice president of worldwide marketing, at a Thursday event on the company's California campus. Two versions of the iMac will be made available, with either a 3.5GHz (turbo boosted to 3.9GHz) quad-core Intel Core i5 processor or a 4GHz (turbo boosted to 4.4GHz) quad-core Intel Core i7 processor. Each will come with an AMD Radeon R9 M290X graphics card, a 1TB fusion storage drive and support for Thunderbolt 2. Apple’s upcoming operating system, OS X Yosemite, will be launched on the new iMacs, while existing customers can update to the new version for free today. Yosemite further bridges the divide between Apple's computing OS X operating system and its mobile iOS platform with enhanced continuity features. Activities started on an iMac can be finished on an iPhone or iPad, and vice versa, to the extent it is possible to hold an iPhone call over an iMac’s speaker and microphone. Additional updates to Yosemite include a design makeover, improvements to Spotlight and new versions of applications, including Safari, Mail, Messages and iTunes. Apple will begin shipping the 27in iMac today with pricing starting at $2999 for the base core i5 model.